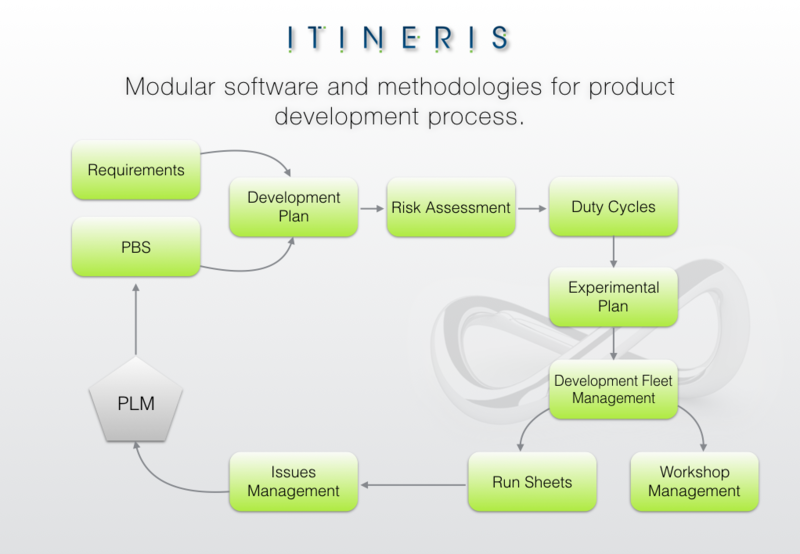 Itineris is a modular software that supports the whole product development cycle, integrating processes and data starting from product definition to production, always focusing on the different requirements, perspectives and business objectives. Itineris is the perfect companion for PLM-ERP-CRM systems to cover all processes that are too complex or expensive to manage with these tools. Using extremely flexible technologies Itineris always covers the requirements to support your business in every new challenge. With a single tool, Itineris can integrate all the information coming from rigid systems or scattered in hundreds of spreadsheets, always delivering the desired information under different perspectives. Itineris is always perfectly sized on your needs allowing you to use your PLM-ERP system for their basic functions while covering the needs of your specific know-how that make your business unique. Our experience in managing extremely dynamic processes combined with the modularity of our software, allows Keeneight to always deliver the most cost effective integration between Itineris and your business. What if you don't already have a PLM-ERP? Don't worry we can get you covered, giving you a tool tailored on your requirements.